First things first, Jurgen Klinsmann announced his roster for the upcoming friendly matches against Costa Rica and Belgium. The roster fields 11 players from MLS and of the 13 European based players, 8 of them have previous MLS experience. For those keeping count, that’s 19 of 24 with a direct relationship to Major League Soccer. It’s an ongoing discussion, Major League Soccer’s influence on the national team. It’s clearly a positive one. Consider also that players like Stewart Holden and Freddy Adu are not on the roster and you could add to those numbers. As MLS grows and expands it’s influence over the country, its value to the national team grows with it. Many of the league’s team are developing youth programs that resemble and in some cases rival top European clubs. That type of training is sure to develop talent at an extremely high level and that talent can certainly begin to support the national team. In going back to Jurgen Klinsmann, he turned heads by selecting the young German Fabian Johnson. Johnson played for Germany in the U-21 European Championship 2 years ago but has seemingly accepted Klinsmann’s offer to switch allegiances to the United States, a similar circumstance to Jermaine Jones and Timmy Chandler. Of note is RSL captain Kyle Beckerman being selected to his second straight camp. Jurgen Klinsmann’s affinity for the holding midfielder is evident and in his last outing, Beckerman did not disappoint. 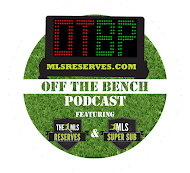 To be breaking into the most crowded position on the team, one has to give Beckerman credit. Yes, there were a few surprising omissions however, there always are. There is no need to panic over one or two names being absent. That will always be the case. Instead be excited for the new shape the national team is taking. A few more things: MLS continues to find success in the Champions League. Last night LA posted another victory to go atop of their group. I’ve written about this on multiple occasions and will continue do so. I applaud teams taking this tournament seriously and fully expect it to increase the relevance of other tournaments as a gateway to the CCL. The US Open Cup will certainly be a benefactor over time. 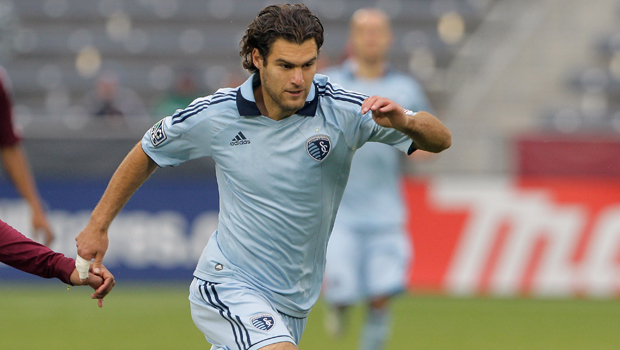 We spoke to Graham Zusi earlier this week and Martin Rennie (Vancouver coach-elect) as well. It’s been an excellent week here at MLS Reserves and we appreciate all your supports, tweets and retweets. All the ‘Likes’ on Facebook and emails are amazing. Please keep it up as we enjoy any good soccer conversation.